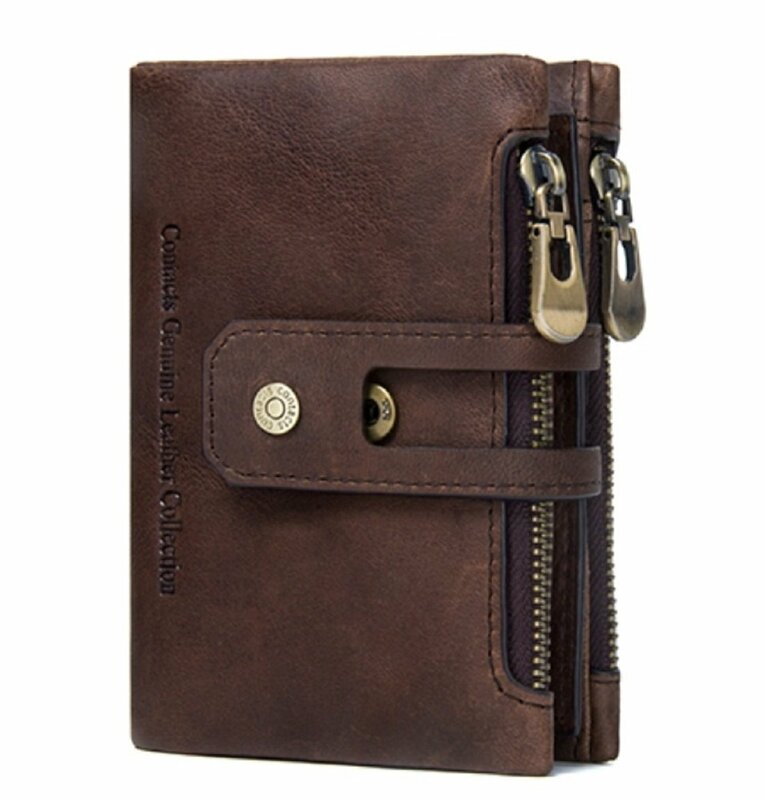 High on functionality and utility, this leather wallet is ideal to carry your essentials. 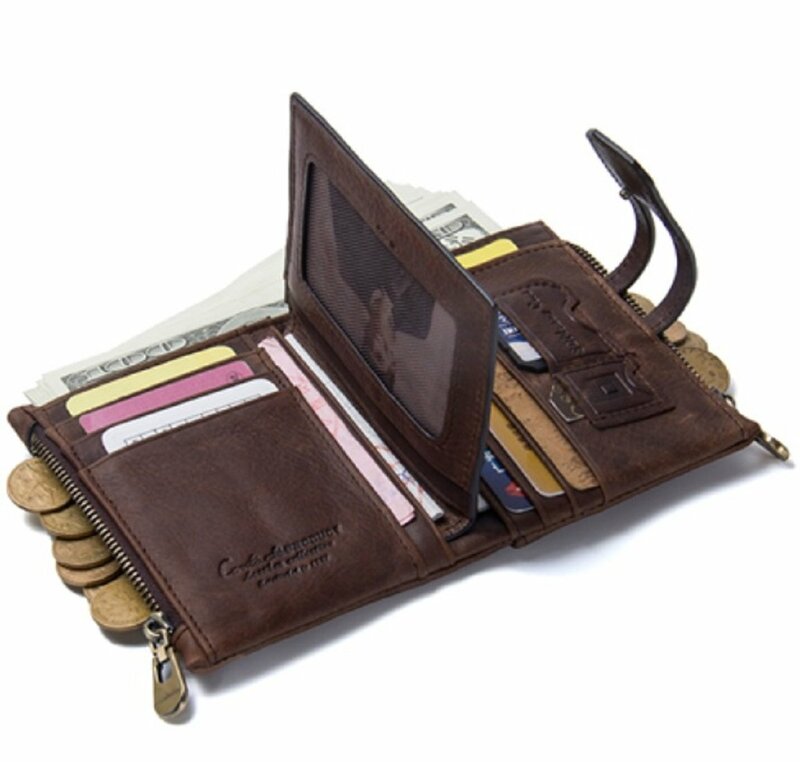 This classy wallet is equipped with multiple compartments to store your cards, cash, coins and IDs so that you have everything tucked away neatly in its place. 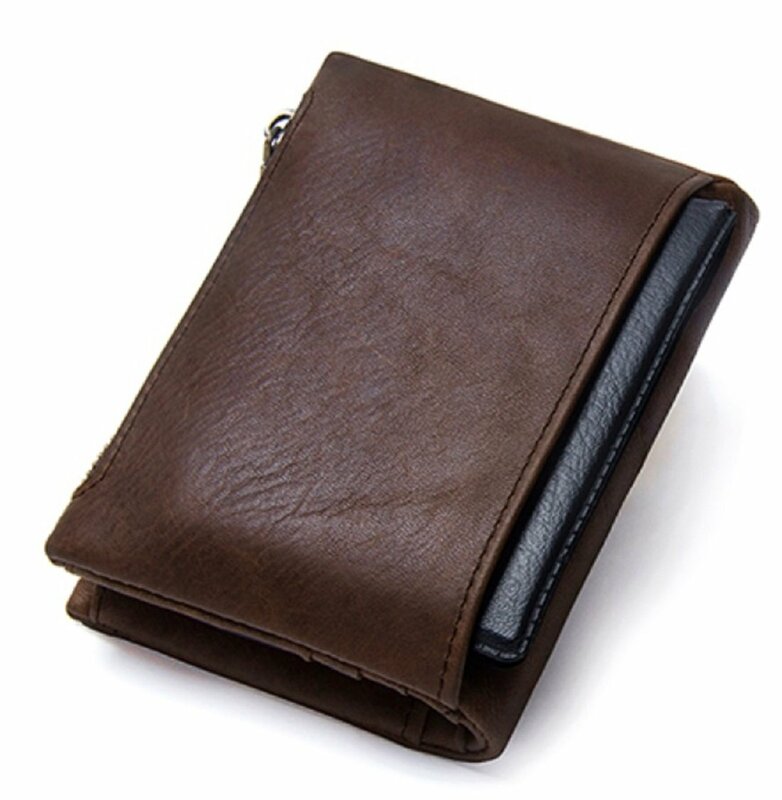 Moreover, its RFID blocking technology helps to keep your information secure from scammers.